Joyce Carson grew up in the San Fernando Valley. She taught kindergarten and first grade in Santa Clarita Valley for 32 years (1970 – 2002). She has lived in the Santa Clarita Valley since 1972. 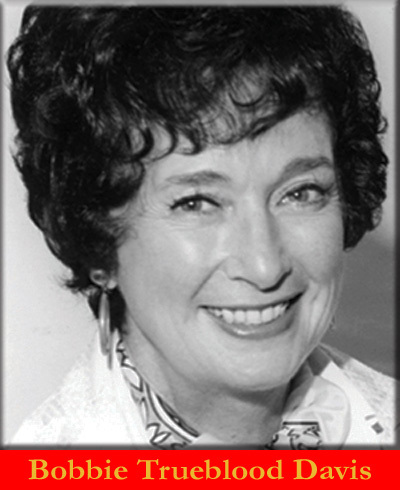 In the 1980s and 1990s, Joyce served as a board member of the SCV Child and Family Center. For several years she chaired “Taste of the Town,” the renowned gourmet-food benefit for the Center. Joyce has also worked as a fund-raiser for the American Heart Association, United Way, Michael Hoefflin Foundation, was a member of the LA County Sheriffs Advisory Committee, and the Anti-Gang Task Force. She also served on the SCV Arts Council, PTA, SCV Repertory Theatre, and was a Henry Mayo Newhall Memorial Hospital Home Tour hostess. In 2001 she was honored as SCV Woman of the Year. Over the last 10 years, Joyce was recipient of Zonta’s “Status of Women” award twice, both in 1997 and 2004. She has also been honored by other organizations as “Outstanding Volunteer Fundraiser” and the “Community Builder’s Award.” In 2006, for the fourth time, she is chairing the “Taste of the Town” fund-raising event. She also chaired the SCV Child and Family Center’s Golf Tournament in 2004 and 2005, and chaired “Evening at the Rep” two times. She also serves on the Breast Cancer Awareness Committee.